Happy new year, everyone! Time sure flies and it’s now looking likely that this blog will live to see it’s fourth anniversary on the 4th of March, which is just… surreal! This time of year also provides me with the rare opportunity to immerse in some new worlds of fiction. Last year I fell under the spell of Legend of the Galactic Heroes, but this time it was to be Tsutomu Nihei and his six volume Biomega that caught my eye. Nihei is probably my favourite mangaka. It’s not like I’ve read a lot of manga, but this guy has held my admiration for a long time, ever since I stumbled over his first series, Blame!, where the dialogue is sparse, action is rapid and landscapes are wide, sprawling stretches of textured emptiness. The same can be said of Biomega too. Things become very interesting half way through, when the apocalyptic Earth is destroyed and then remade into an unfathomable cylindrical mass of organic splatter and twisted pipes. Our new home stretches beyond human comprehension and far into the stars (its actual length is estimated at 4,800,000,000 km). Its alien, alternating environments are separated by 12 massive sections, each with their own tribes and customs. 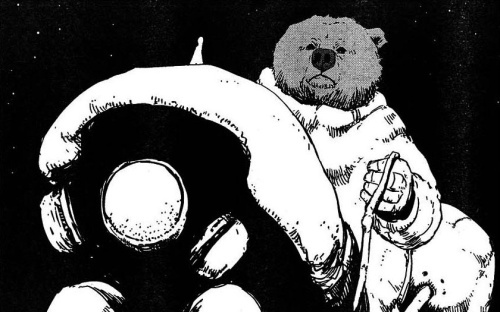 It’s meant as much in praise as in criticism of Nihei that he isn’t bothered by conforming to conventional storytelling tropes, because there is no denying that his stories are confusing and ambiguous, and although the introduction of a talking Russian Brown Bear (no, seriously!) 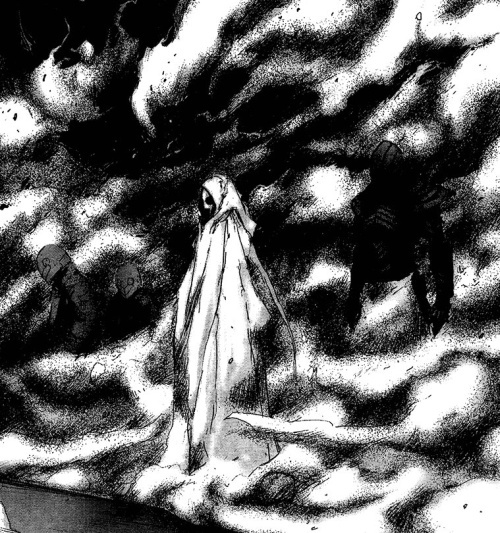 does occasionally lift the murky darkness of Biomega, Nihei‘s greatest attraction still lays in building strange new worlds for his characters to silently wander. Entire chapters rush past with barely a word spoken, yet there is just so much to look at, one can only marvel at the harsh beauty and dystopian imagination of this art. 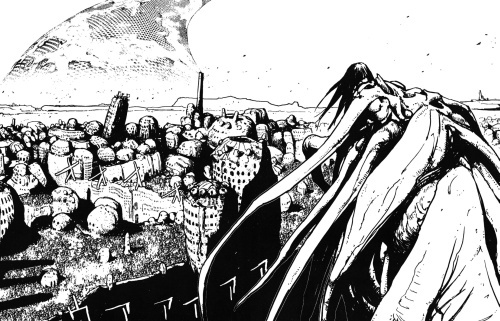 “A picture paints a thousand words” is an oft repeated cliché, but for Nihei I think it’s relevant. 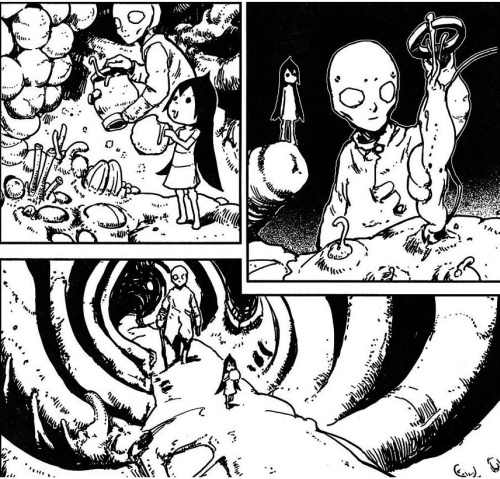 There is an unfathomable depth and scale to everything he draws. I lose myself in his manga. I agree with you on a lot of points- Nihei is also my favorite mangaka, and Biomega my favorite of his works. However, I much prefer the first half of the story, if not only because it’s one of the rare instances in which Nihei creates a group of characters that I actually cared about, rather than merely entrancing me with his awesome world-building. The second half would have been fine on its own, but I’m not so sure that it worked well with the first half. 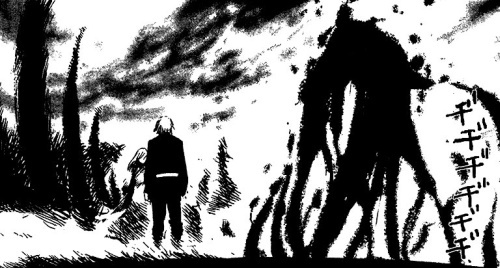 Apparently Nihei was ready to end it at Ch. 27 or so, but the editors kept him going, so that may explain it. 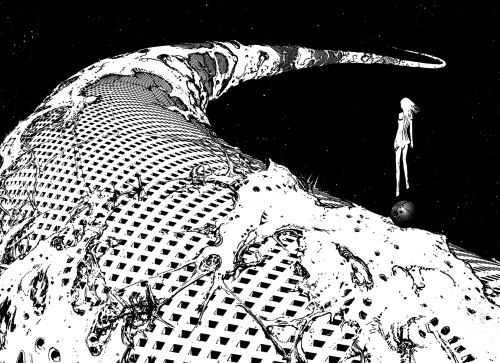 I was really quite irritated at the way Biomega ended, in that at first it seems like a happy ending, but then you realize that Nihei never told us what happened to characters like Mizunoe, Narain, or that lady made of tendrils who seemed to be intrigued by Zoichi. Furthermore, the final few chapters see Nihei try out a new style of figure drawing that he’s expanding upon in his lastest work, Knights of Sidonia. Frankly, I can’t stand it- compared to Nihei’s work in Blame! and the earlier chapters of Biomega, it’s painfully generic. Just compare page 9 of Ch. 1 with page 30 of Ch. 42- same character, radically different artstyles. Not that it’s a terrible work, I just think that might have been better as two separate series. 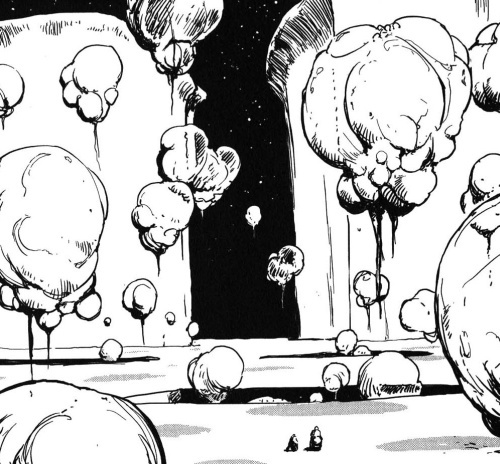 Incidentally, if you’re a fan of Nihei, have you checked out Heeen’s Nihei forums? I think I’ve lurked those forums in the past, so I should probably sign up sometime! I could read and write for days on end about Nihei. 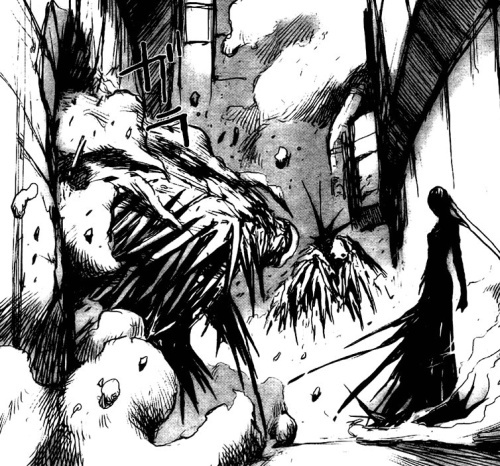 Oh Tsutomu Nihei, how I love you so. Biomega’s been on my to-read list since this summer, but I was waiting for it to finish before I even touched it, so that I could read it all in one fell swoop. I’ll come back to it soon. Though they write/draw in completely different ways about completely different things, have you ever run across the works of Asano Inio? He wrote Solanin, but more importantly he wrote Nijigahara Holograph. I have a feeling you’d like his manga. Thanks Celeste, Happy New Year to you, too!